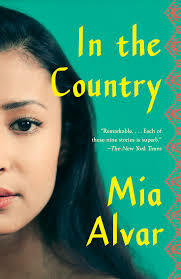 Mia Alvar’s collection about the lives of Filipinos at home and abroad was the most impressive debut since Molly Antopol’s The UnAmericans in 2014. Sometimes a “new” writer comes along whose talent is already fully formed and whose sensibility is distinct and powerful. Underneath the placid surface of Alvar’s writing lie riptides of desperate love, family separation, cultural shock and adaptation, and a fierce determination to wrangle a better life out of the most difficult circumstances.